We went to Placerville State Theater to see this documentary film. This was from Oscar-nominated director Markus Imhoof. It is a detailed look at the breeding of queen bees, the laboratory process of a bee brainscan, and a hive facing the infection of mites. Our local Beekeeper John Miller is in this film and he showed up to talk about it and honeybees issues. He also explained the 'beekeeper accident' that now has him recovering in a wheelchair. "tackles the vexing issue of why bees, worldwide, are facing extinction. From California to Switzerland, China and Australia, Imhoof investigates this global phenomenon. Exquisite macro-photography of the bees in flight and in their hives reveals a fascinating, complex world in crisis. " 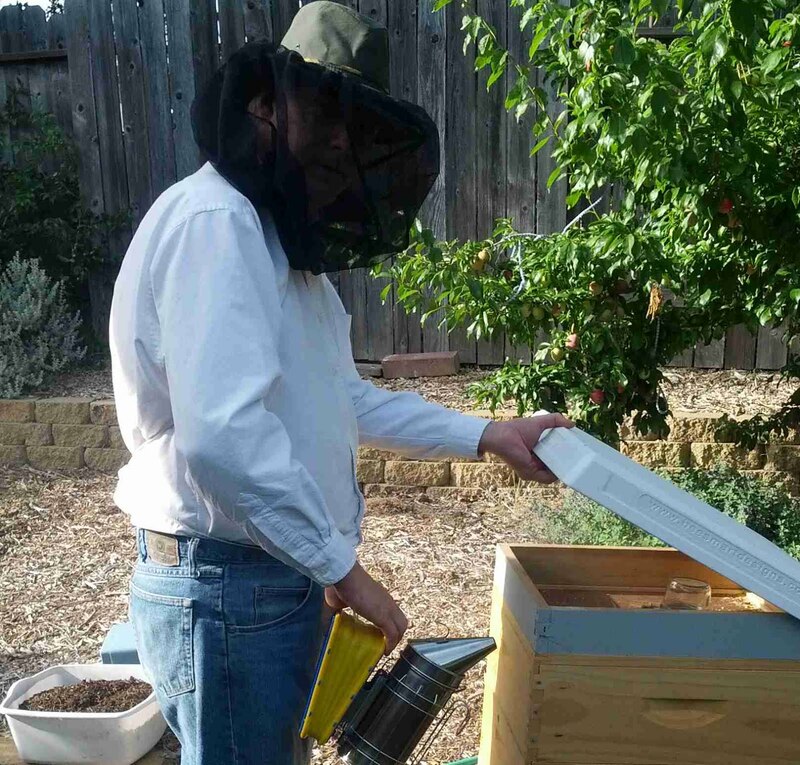 Bruce Trescott member of El Dorado Backyard Beekeepers and owner of Plan Bee Gardens saw some beginning swarm cells in some of the club hives at the Folsom college observatory. Because of the proximity to public activity, it is important that we try to prevent swarming there, even at the expense of production. I went out to help and learn from Bruce. He showed how to make a 'swarm cell' split in an attempt to fool the bees into thinking that they have already swarmed. 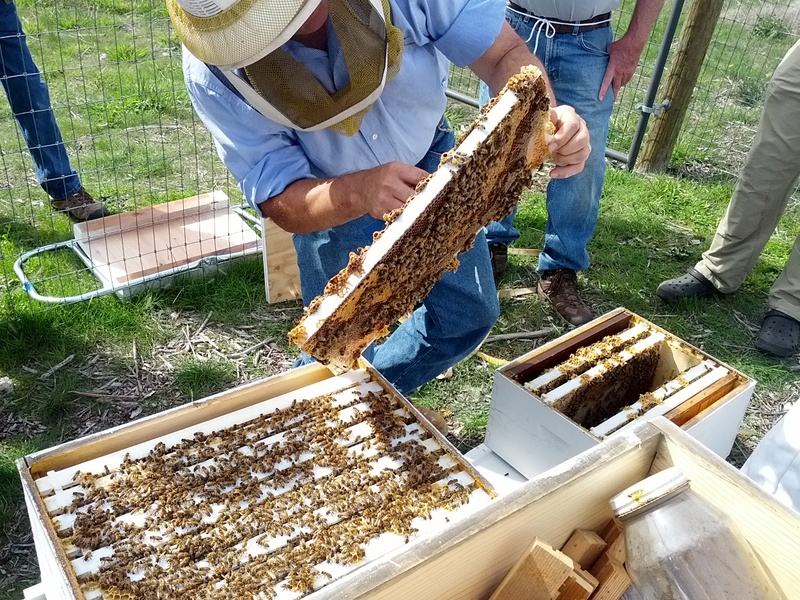 An additional split will set the hive back enough so that it may not be anxious to try to swarm again. Afterwards Bruce delivered supplies to those that needed them. - Thanks Bruce!